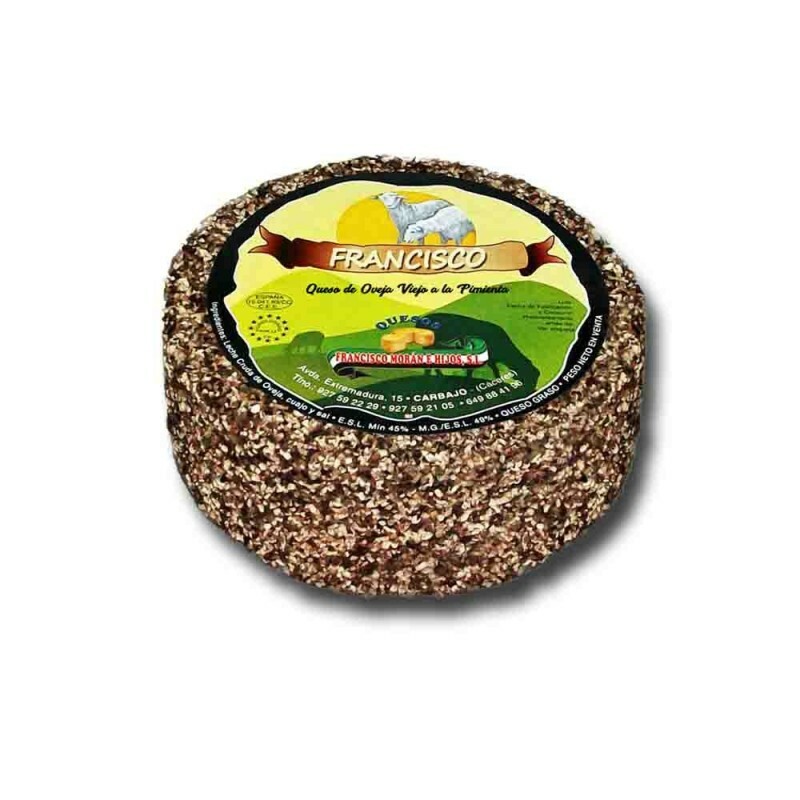 Aged cheese made with raw sheep's milk in Extremadura and matured for 12 to 15 months by Francisco Moran e Hijos cheese factory. Its flavor is intense of its own healing and also spicy due to pepper. The aroma is mildly lactic and spicy. Its interior is straw yellow with small scattered eyes. 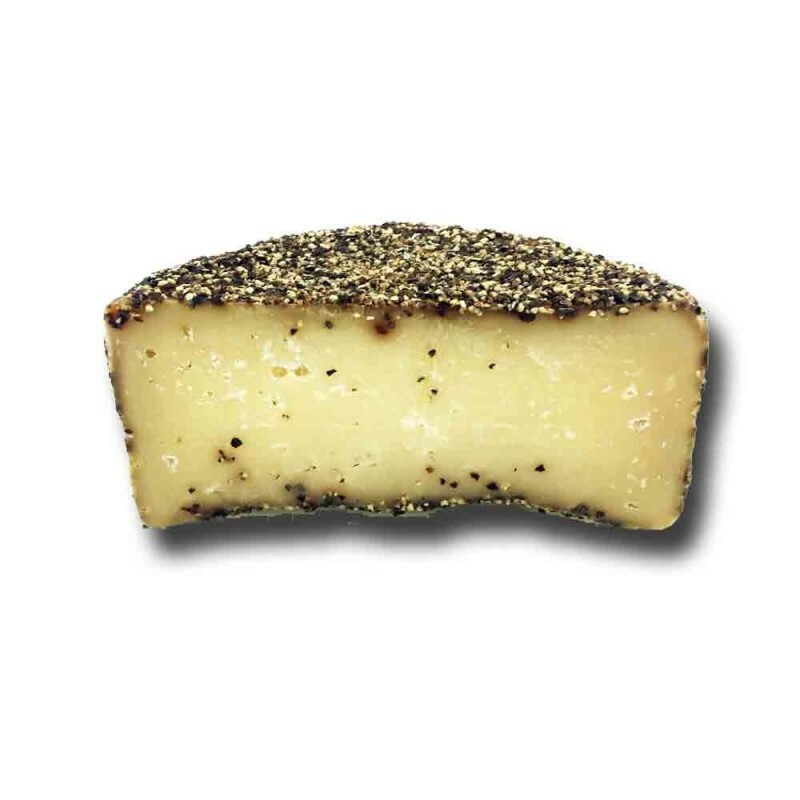 Its bark is natural and during its ripening it is covered with pepper. 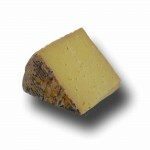 A cheese suitable for those who like strong cheeses. 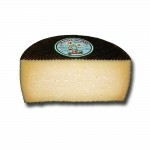 You can buy this cheese in halves of 370 - 400 grams approximately. - Carbohydrates ............ ..1,40 g.
- Of which Sugars ............ 1,40 g.
- Fats .................................... .40.5 g.
- Of which saturated ......... .30.4 g.
- Salt .......................................... .1,70 g.
- Proteins .............................. 25.70 g.